I don’t celebrate thanksgiving in November. Like my Canadian brethren, we celebrate the second Monday in October. Although less intense than Yanksgiving, the Canadian counterpart offers many of the same things—turkey, mashed potatoes, Brussels sprouts, and pumpkin pie. Though there are some holiday things I am happy to leave over the pond—salads that involve marshmallows, Black Friday—pumpkin pie is not one of them. I have joyfully sought out canned pumpkin and plied my Swiss relatives with the smooth, spicy, creamy, buttery, crisp, delicious dessert (it really has everything, doesn’t it?). And it turns out that the Bernese were already enjoying it centuries ago. As I was flipping through my excellent cookbook, Kochen wie im alten Bern (loosely translated as Cook Like They Did in Old Bern), I found a recipe for Kürbiskuchen—pumpkin pie. According to the cookbook, the students in the seminary were often fed a pumpkin mash for lunch. In an effort to use up the leftovers, the mash was mixed with almonds, egg, cream, sugar and spices and added to a buttery crust. The perfect use of leftovers, as the book proclaims. Although the Bernese version is not as silky smooth as regular pumpkin pie (I like to think of it as a rustic version), the taste is excellent, and it’s a good alternative if you don’t have canned pumpkin. My recipe came from Kochen wie im alten Bern, but the authors of that book list their original source as Lisette Rytz's Neues Berner Kochbuch from 1835. 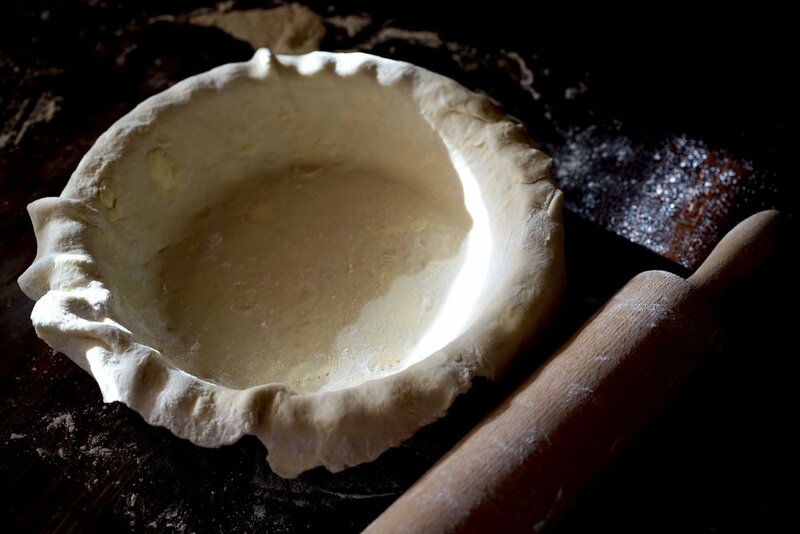 Roll out your dough and line a 26 cm (10 inch) round springform or pie pan. Poke the bottom of the dough all over with a fork then keep the tart shell cool (preferably in the freezer) until you have the filling ready. Slice your gourd in half, scoop out the seeds and roast, face down, for 30-40 minutes or until browned and soft. Scoop out the pumpkin and let cool a little, then use an immersion blender to purée it. Whisk together the pumpkin, almonds, lemon zest, eggs, sugar, cream, cinnamon, and salt. Pour this into the pastry crust. Bake for about 50 minutes, or until the filling is set and the crust has browned. I used a butternut squash (from my friends at Zur Alten Weinhandlung) but other similar pumpkins and squashes should work. You are looking for one with a smooth texture, good for puréeing, and not so stringy and watery as some can be. As I have written about before, in German all gourds are Kürbis, and they don’t make a distinction between pumpkin and squash (and they think we are ridiculous for doing so). If you have a little extra cream, brush the edge of the pie crust then sprinkle with some sugar before baking.